A good pair of shoes is the basic requirement for running – not feet type. However, not all shoes are perfect for you. If your shoe does not fit your foot perfectly, makes you uncomfortable and gives you pains, you may increase your feet’s chances of having problems. This may consequently make you unable to run altogether. Different people have different foot types – normal, short, long, narrow or wide. Some people are born this way, while others form these changes. It is so good to know that there are shoes for all foot types. Having wide feet doesn’t have to be a burden if you get the best running shoes to fit this particular foot type. As will be seen shortly, increased pressure on the feet is one of the major factors that will lead to having wider feet. When your feet are put under pressure, your arches will fall, and when they do, your feet will widen. To avoid this, unless the cause your wide feet were inherited or result from pregnancy, you could avoid some of the habits that tend to increase pressure on your feet. Here are some known causes of wide feet. Heredity – Inheriting wide feet does not pose any health issues. It is just one of those things that could run in the family. A lot of people are born with wide feet. So, it should not be seen as something to dread or be ashamed of. More importantly, it should not stop you from being a great runner. Pregnancy – Pregnancy comes with a lot of observable body changes – one of them is wider feet. Weight added during pregnancy, as well as hormones could make a pregnant woman develop wide feet. This, however, may return to normal sometime after childbirth. Flat Feet – Just like wide feet, flat feet could be inherited. It may result from injuries or occur from medical conditions like arthritis. Furthermore, most people with flat feet usually develop wide feet. This is so because their arches are known to fall and result in wide feet. Too Much Standing – The longer you stand, the more pressure you put on your feet, thereby causing your arches to fall. Fallen arches will, of course, make your feet wider. Most times, our job descriptions require excessive standing and we just cannot do anything about it. In this case, developing wide feet is inevitable. Obesity – Just like increased weight during pregnancy causes a woman to have wider feet, obesity also does the same. Additionally, having too much weight is not healthy and most of the excess weight will have to be carried by your feet. With increased pressure on them, your arches could become low, flatten, and then, as a result, lead to wider feet. Inappropriate Shoes – Wearing shoes that are too tight, too narrow, too high, or generally too small could increase the pressure. This limits your blood circulation and leads to the building up of fluids. When this happens, irritation and swelling will occur. This will consequently, cause your feet to flatten. This is avoidable when you use the right shoes at the right time. Therefore, inconveniencing your feet for an extended period is quite unnecessary. Aging – Growing old is a blessing that comes with certain inconveniences, one of which is developing wide feet. The inability of the skin and joints to be as strong and flexible as they once were, as well as the loss of the feet’s cushioning, are some of the results. Thus, this is another reason for what could cause your arches to drop. Having Bunions – Bunions, could either be hereditary or the result of bad habits. It is a painful condition that is formed when the big toe bends towards other toes. As a result, this makes the connecting joint protrude painfully and result in Bunions. Measure Your Feet – Before buying any pair of shoes, measure the length and width of each foot. You can do it yourself, get help from a friend, or have it done by a professional. Furthermore, knowing your size and the parts of your feet that are wider will help you in making a good choice. This is especially true if you want to order online. Roomy Toe Box – Shoes with narrow toe boxes will not give your toes any space to breathe or flex in. The wider your feet, the wider the toe box. Moreover, narrow toe boxes can cause pain, inflammation, inconvenience and even complications. Thus, get shoes you will not have to bring your feet into. Comfortable – Every major part of your shoe should offer some kind of cushioning to make you more comfortable. Good cushioning also offers stability. The upper part of your shoes, where the toes are, should be adequately cushioned. Moreover, if the cushioning is too hard or soft, it will be very uncomfortable. Therefore, you should know the level of cushioning you are comfortable with. Removable Insoles – With removable insoles, you can create more space for your wide feet if the one the shoe provides is not quite sufficient. On the other hand, if your feet get wider, you may not be able to fit comfortably into shoes without removable insoles. Such insoles are also good for orthotics. Roomy Heel – When choosing the best running shoes for wide feet, the heel should not be ignored. This is because most people with wide feet have wide heels too. If your shoe heel is too narrow, you may be forced to push your feet forward and cause your toes some discomfort. Flexible – Your running shoe should mold to the shape of your foot. Your feet need space to stretch and your muscles will need to flex while running. Stiff shoes that do not bend at the right places could cause blisters and swelling. They could also limit your motion, speed, and overall performance and even strain your tendons. This could be very uncomfortable. Breathable – Your running shoe should be made from breathable materials. If your feet can breathe, you will have a more comfortable run. It also ensures your feet are kept cool and dry. Breathability is assured when the upper part of your shoe is made of mesh. Some products come with engineered mesh while some have all-around mesh. Whichever you choose, let the mesh be well-ventilated. Lightweight – Having wide feet is hard enough to manage without adding additional weight. The lighter the running shoe, the easier your motion will be. Heavy running shoes will limit your performance and slow you down. However, ultra-lightweight running shoes can be quite expensive but well worth it. Durable – No one will like to have their shoes fall apart during a race. More so, spending to get shoes that are not durable is a total waste of money. Make sure your shoes are made of durable and quality materials. Design – You will be cheating yourself by buying unattractive shoes just because they have wider toe boxes. The design of the shoe should match your foot type, the kind of race you are taking part in, the kind of landscape you expect to encounter, and your taste. Advanced Technology – There are new improvements to running shoes every day. 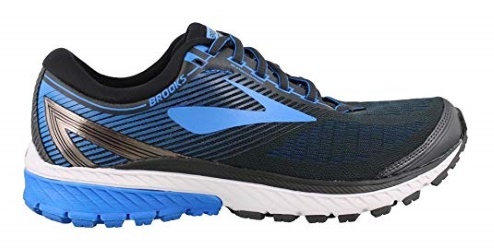 It is very good to keep track of new technological advancements and get the running shoe with improved features that will work best for your wide feet. These improvements should majorly be in cushioning, flexibility, support, traction, lightweight, breathability, and durability. Not all shoes have the right widths and offer the kind of comfort needed for people with wide feet. You need to get shoes that will fit your foot type and help you run effectively. Referring to the criteria above, we suggest some of the best running shoes that may be ideal for you. This running shoe is designed for runners with wide feet looking for great cushioning, lightweight responsiveness and shock absorbance. The convergence gel cushions you well. It also absorbs impact, combines a seamless construction that protects from friction and irritation. With the guidance trusstic system, your forefoot and rear foot will have the perfect gait. 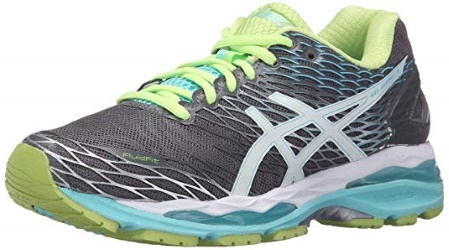 It has a special Asics High Abrasion Rubber outsole that gives you your much-desired traction and durability. A very nice shoe for midsole compression, flexibility, energizing cushioning, plush tongue and collar, road adaptability. 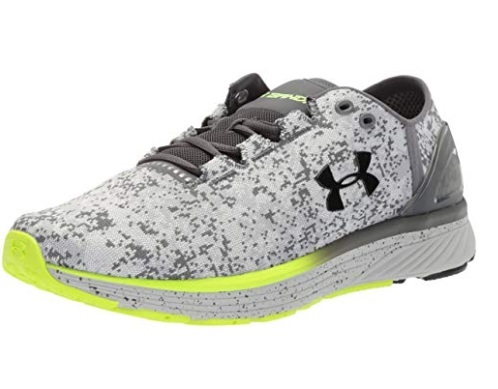 This running shoe is the best neutral high-cushion shoe for runners with wide feet. It has Omega Flex Grooves in its forefoot for flexibility and a prominent midsole drop of 12mm. This shoe will relieve pressure on your tendon by giving you a great fit, support, smooth transitions and a high drop. Ghost 10’s BioMoGo DNA midsole has an adaptable cushioning that gives you a comfortable pace with each stride. Furthermore, this shoe can handle quite the beating. It offers for proper ventilation and flexibility to its uniqueness. 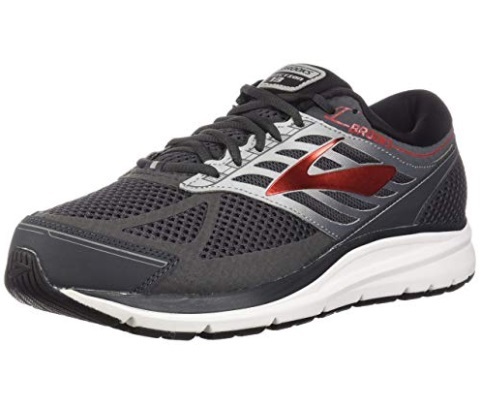 Any runner with wide feet will enjoy the comfort and efficiency this shoe offers. 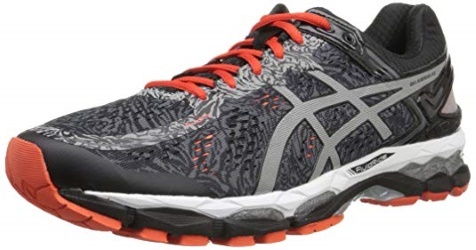 This running shoe offers great comfort, flexibility, breathability and lots more. Its anti-microbial ortholite sock liner offers very good support by molding to the foot. Moreover, its midsole offers very good energy return, comfort and responsive cushioning. Its upper part is also from a good material that has both good ventilation and is lightweight. Its external heel keeps a firm grip on your feet for stability and security. It is also quite durable with a very good rubber sole. Its downside, however, is that it is a bit short. This running shoe has many features that will favor runners with wide feet. It also offers A-Bound cushioning and EVA foam for great cushioning which is very necessary for the comfort of runners with wide feet. Furthermore, the EVA foam also serves to keep your feet securely locked in. This shoe also absorbs shock and impact very effectively. Additionally, it is very durable and stable. This running shoe is one of the coziest for runners with wide feet. The upper part of the shoe has a well-padded tongue. The shoe is also structured to have a flat-waisted geometry. 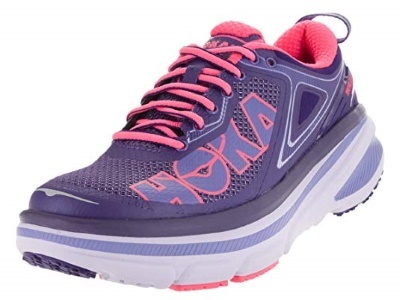 Furthermore, its midsole is powered and cushioned by full EVA, Meta-Rocker and HOKA One. Its rubber sole has a TPU external heel counter and is strategically placed. 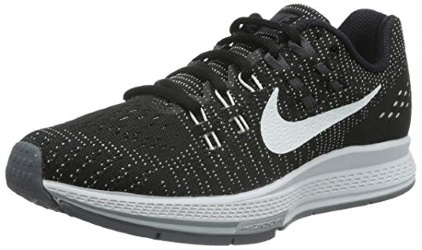 This running shoe is another great choice for people with wide feet. This running shoe is seamless, flexible, lightweight and comfortable. With this shoe, you’re underfoot will be secure and comfortable. Moreover, its rubber sole will ensure durability and stability while running. You will not have any problem with efficiency. 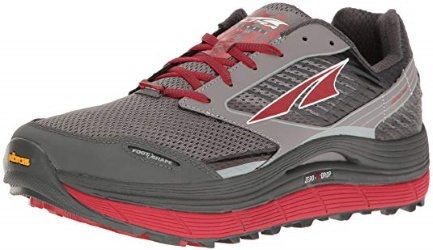 This running shoe meets the stability and comfort needs of people with wide feet. 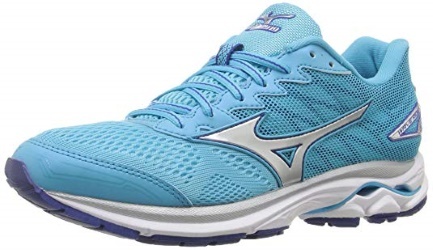 The mesh construction is breathable and well-cushioned. Furthermore, the traction, flexibility, and durability it offers are exquisite. The lightweight sole and collar provide the wearer with protection and good cushioning. The shoe is also stable and responsive. It has a tendency to fit your foot like a glove. This running shoe gives stability and support. It is roomy enough for orthotics and people with flat feet. The heel-to-toe drop is efficient, and it provides arch support for overpronators. Its Crash Pad feature is a great shock and impact absorber. Moreover, the additional features it possesses include a Hydroflow system and an adaptive DNA cushioning. There is also a very durable and stable for long runs. 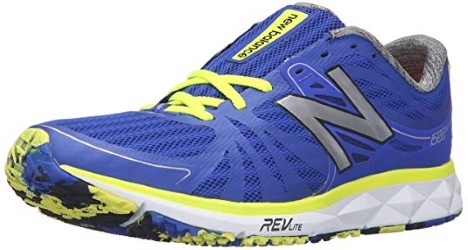 This running shoe is from fabric/synthetic material and has several awesome features. It possesses Gait-enhancing Impact Guidance System (I.G.S.) for improving the natural form and harmonization of your feet and legs while walking, jogging or running. This lightweight shoe boasts an exoskeletal heel clutching system. It also has a rearfoot and forefoot gel cushioning systems. There is a fluidride bounce-back cushioning and the fluid fit multi-directional reinforced stretch will ensure you run long miles. Moreover, this is a shoe that can offer you flexible performance. No one will even guess you have wide feet. This running shoe offers the kind of technology you need for a great run – it is great for runners with wider feet too. It has a ramp of 12mm and a cushion-providing heel wedge. Furthermore, its sole is both removable and durable. For responsive cushioning, this shoe has Wave Technology. A Triple Zone engineered mesh and a Dynamotion Fit ensure breathability and additional cushioning. Morever, the tractionfor this shoe is also good and its sole is firm. In summary, wide feet do not pose any health risk. However, it could make it quite hard for those who have it to find shoes. 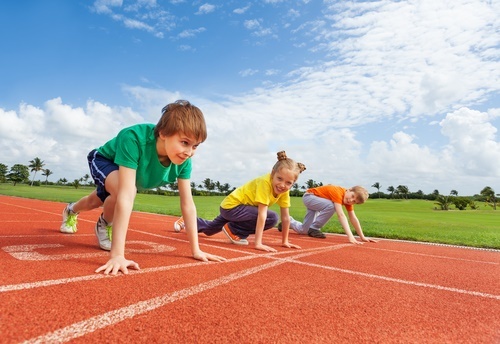 Your running career does not have to come to an end just because you have feet that are wide. 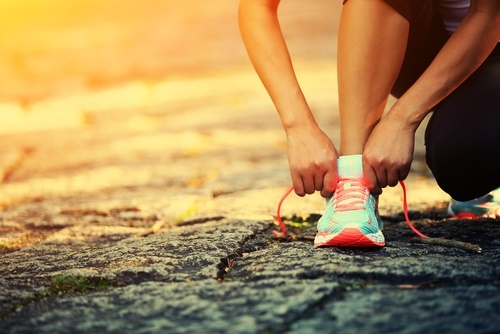 This review will make your search easier and give your running career a boost.